→Where to Stay in Bali in this 2018? Bali is no doubt a romantic destination. Sanur is a great place to stay in Bali due to it’s quiet nature. It is home to many honeymoon villas, such as the Sudamala ﻿Suites & Villas. Uluwatu is a large and gorgeous peninsula in Bali. It is perfect for couples, boasting some of the best beaches in Bali. Curl up in the sand in Uluwatu and watch the sunset with your significant other. 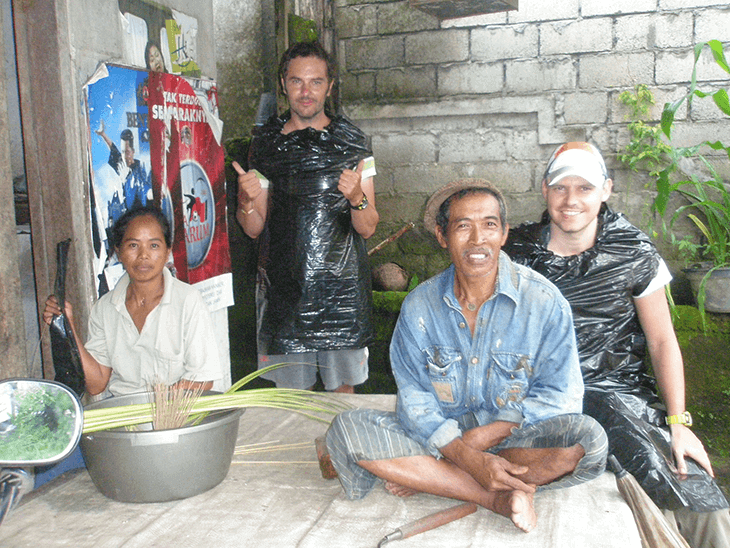 Not everyone can afford the luxurious vacation that Bali is often recognized for. Sometimes it is even more enjoyable to visit a country on a small budget to get a feel for what the locals truly live like. 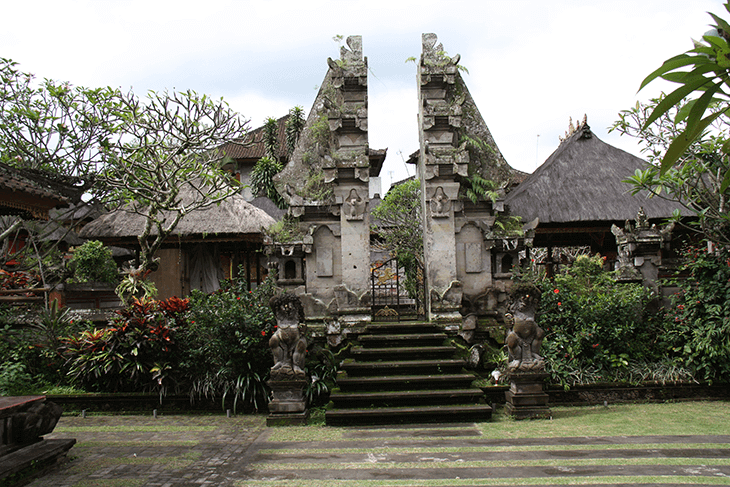 Renting a kost in Bali is probably your cheapest option! A kost is similar to an Air BNB in that you rent a single room or stay with a family. Air BNB is also a very cheap option, starting at about $12 a night. You can find a bed in a hostel for even less than this, but expect to share a room. When figuring out where to stay in Bali on a budget, the more north you go, the cheaper the prices will get! So keep that in mind. A great and easy way to go surfing while staying in Bali is to participate in a camp! Padang Padang ﻿﻿Surf ﻿﻿Camp is rated one of the highest. Located near Uluwatu, this camp offers lessons and activities for anyone with beginning to advanced skills. 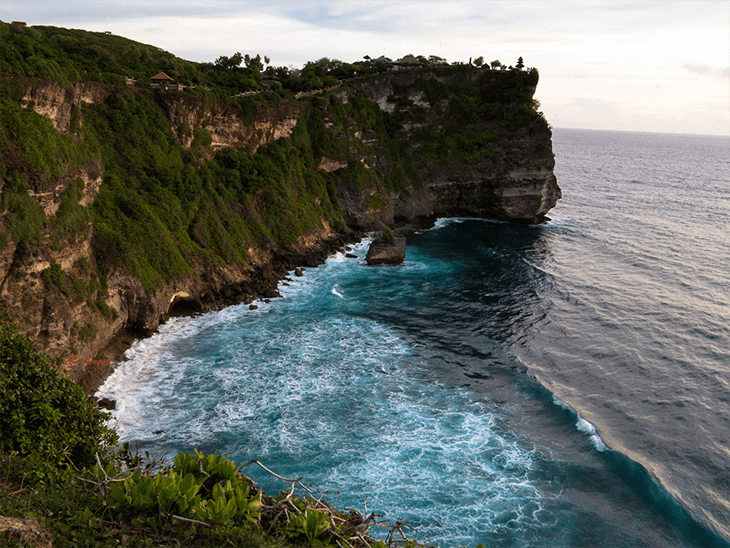 Uluwatu is another great option when deciding where to stay for surfing. It’s known for it’s constantly good waves and gorgeous views! Uluwatu can get crowded, but because of the size of the surfing beach, you’ll still be able to enjoy yourself. Spending one week in any new country or city can be a challenge. It can be hard finding ways to make the most of your time there. But an entire week means you have ample time to experience both the tourist attractions as well as local culture! Ubud has so much to offer. You could happily stay here a full week and not run out of things to do! Here you have the option of renting a cheaper, yet still beautiful, villa or going more exclusive. The gorgeous Four Seasons at Sayan is located here and is worth the money. The best part about the Four Seasons at Sayan are the infinite amount of activities you can partake it to really explore and get to know Ubud! You can spend your time in Ubud shopping the markets, visiting the Monkey Jungle, exploring the rice fields and so much more! Southeast﻿﻿﻿ ﻿﻿﻿Asia is a backpacker’s paradise. With cheap eats and accommodations as well as a constant flow of other solo travelers, it’s a great way to explore on a budget! Bali is so exception. Popies Lane is a famous backpacker’s destination in Bali! Here you will find a small street lined with hostels and cheap guesthouses; perfect for the backpacker! Staying here ensures you will make new friends to explore Bali with and create new memories. Renting motorbikes is very popular and cheap in Bali. As a backpacker, you will not be toting much luggage. Take advantage of this and bike along the country taking in the scenery! I suggest journeying around Seminyak and Kuta. Seminyak is also another great option when deciding where to stay in Bali as a backpacker. It is a nice mix of both tourists and locals, and with Kuta being a party area and a short distance away, it’s a great area to post up for awhile! When traveling, many people prefer to cut out all tourist attractions and dive into the true culture of the place. In order to do that, one must do some research and prepare to befriend the residents! Getting to know the locals of a place is truly the best way to plunge into a new society! The Nusa Islands are a great option if you want to stay in Bali but do not want to deal with large crowds of tourists. This group of three islands has yet to be infiltrated by the crowds yet. 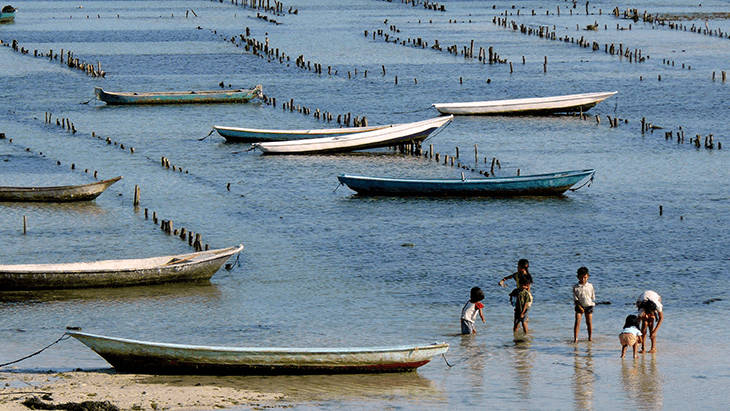 The islands are more isolated and only a short boat ride from Bali. Seeing as they are a bit harder to get to, you can understand why fewer tourists choose to stay here. Once there, you will have plenty to do and see! If you are looking to splurge, stay at the Batu ﻿﻿Karang ﻿﻿Lemongan Resort and Day Spa. This gorgeous villa hotel is situated along the beach, has a pool and a spa, as well as three on-site restaurants. Two nights will cost you roughly $500-$600. If you are staying on the islands and want something cheaper, you can find many small villas or huts for anywhere between $14 and $45 a night! Regardless of why you are visiting Bali or what you are looking for, rest assured Bali will leave you with lasting memories. It is a gorgeous area full of adventures waiting to happen. Whether you prefer outdoor activities such as hiking and surfing, or meandering through markets and hunting for hidden restaurant treasures, Bali should be your next vacation destination!